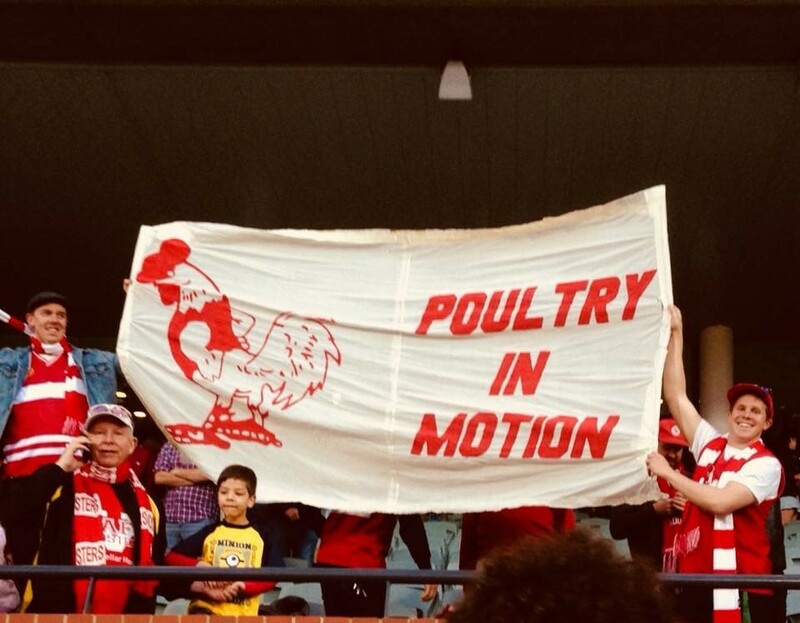 On Sunday 16 September 2018 North Adelaide played the Eagles in the SANFL preliminary final. It was a cracking match. North staged an incredible fightback. The Roosters came from 47 points down early in the third quarter to kick 13 of the next 14 goals and lead by 22 points late in the last quarter. The Eagles kicked the last three goals of the match but North held on to win by 5 points. After the game it emerged that North Adelaide had 19 players on the field for 3 minutes and 39 seconds, from the commencement of the last quarter. Evidently one of their players started on the field when he should have started on the interchange bench. During that period the Roosters kicked 8 points. The “correspondence” was duly lodged. The SANFL Commission referred the case to the SANFL tribunal constituted by The Hon Michael David QC, a retired Supreme Court Judge and a highly-respected jurist. Thank you very much. I have invited the media in because I think it is important they hear the actual words of my decision. More than a week later, social media remains awash with speculative, emotive, uninformed commentary on the case. This article seeks to provide, finally, the clinical, forensic analysis of the case we have lacked to date. The range of penalties referred to by the Tribunal arises from a combination of Law 5.1 of The Laws of Australian Football  (“the Laws”) and Regulation 15.3 of the Regulations made pursuant to the SANFL Constitution and Rules (evidently not available online, but made available on request from the SANFL). The range of penalties in this case does NOT arise from Law 7 of the Laws despite what some commentators have suggested. Law 7 has no application here, for the reasons set out below. Law 7 refers to the procedure for interchange. Law 7.2(a) provides that players intending to interchange shall leave and enter the playing surface through the interchange area [i.e. through the interchange “gates”]. Law 7.2(b) sets out the procedure for advising the controlling body of a breach of Law 7.2(a) and the penalties that may apply (viz. “[A] fine, reversal of Match result, or other sanction as it deems appropriate”). To be clear about this, Law 7.2 is confined to a breach of the interchange gate provisions. As noted above, it has no application in this case – there is no suggestion North Adelaide infringed by having one of its players leave or enter the field outside of the interchange gates. Regulation 15.3 applies where a Club is found to have breached [any of] the Laws. In this case, the Club was found to have breached Law 5.1 of the Laws. In this case North Adelaide admitted and was found to have had 19 players on the field. This clearly breached Law 5.1. The reversal of a match result and/or loss of premiership points both retrospective and prospective. As noted by the Tribunal, it did not have power to order a rematch or annul the score. It was empowered only to exercise the penalties set out in Regulation 15.3. It did not have the power to impose “[any] other sanction as it deems appropriate” because Law 7.2 did not apply. North Adelaide did not “cheat”. Instead it was found to have acted in a “grossly negligent” (not deliberate) way. It is stating the obvious (although some of the social media commentary would suggest otherwise) to say that you cannot “cheat” unless you deliberately and consciously attempt to gain an unfair advantage. The tribunal found that it was impossible to say whether or not the extra player did in fact provide North Adelaide with an unfair advantage. No doubt a combination of this uncertainty together with the negligent nature of North Adelaide’s conduct influenced the tribunal’s view of the appropriate penalty. As noted above, the tribunal concluded that a reversal of the result was “too savage a penalty”. Law 5.5 (“Counting of Players”) has been widely cited across social media. Many commentators have suggested that the fact that a count was not called for was fatal to the Eagles’ case. This suggestion can also be laid to rest for the reasons set out below. Law 5.5.2 sets out the applicable procedure. The offending team shall lose all points it has scored up to the time of the count. A count was not called for. This does not mean NO penalty applies, because Regulation 15.3 steps in to regulate what was plainly a breach of Law 5.1 (having 19 players on the field). An interesting question arises – what would have the tribunal done had there been a count in this case? If reversal of the result was “too savage a penalty” then presumably the loss of all points up to early in the last quarter would have been viewed similarly. The real question, however, may be whether the tribunal has a discretionary power to ignore the terms of Law 5.5.3 and instead apply Regulation 15.3 in the event of a successful count. The tribunal notes that the Law is anachronistic. Nevertheless, Law 5.5.3 sets out the penalties that “shall” apply, and 5.5.3(c) directs that the offending team “shall” lose all its points. Thankfully the question is moot! A count was not called for and therefore the penalties set out in Law 5.5.3 do not apply. Fundamentally, the Regulations draw a distinction between “players and/or officials” on the one hand, and “participating club or affiliated league club” on the other. An appeal is open to a player or official charged with a breach of the laws, but not to a club. No doubt there are sound philosophical and pragmatic reasons for this distinction to be drawn. Regulation 20 sets out the procedures for an appeal. Regulation 20(1) sets out the procedures for an appeal in relation to decisions made pursuant to regulations 2.1.3.1.1 (“a charge made against any person which is the subject of a report made in respect of a breach of the Laws of Australian Football”), and regulations 2.1.3.1.4 and 2.1.3.1.5. (Anti-doping and illicit drugs provisions; not applicable here). Regulation 20.14 correspondingly provides that an Appeal Board is to “hear and determine appeals from decisions of the Tribunal in relation to offences committed by Players and/or Officials against the Laws of Australian Football arising out of or in relation to a League Match”; and in respect of decisions of the Tribunal pursuant to regulations concerning anti-doping and illicit drugs provisions. Evidently there are no appeal provisions for charges laid against a club, even though a club can, obviously, be charged. See, for example, Regulation 15.3.5 where the applicable sanctions for a breach of the Laws by a club are set out. In this case it would appear the North Adelaide football club was charged (appropriately, no doubt, as it was likely to have been impossible and/or unfair to have singled out any particular individual(s)), and therefore did not have an avenue to appeal. In the case of the Eagles, the question is arguably less clear. Regulation 20.15 provides that a player or official who is a party to the proceedings and who is aggrieved by a decision of the tribunal may appeal. Query whether there was a relevant Eagles player or official who was a “party to the proceedings”, or whether the “club” broadly was the party. “Party” is not defined. In any event an appeal could only be brought in relation to penalty, as guilt was admitted by North Adelaide. Regulation 20.15.4.1 provides that in the case of penalty, an appeal can [only] be brought where it is asserted that the penalty imposed was “manifestly excessive”. Evidently there is no provision for an appeal where the penalty is said to be manifestly inadequate or more broadly unjust. This could have ended very badly for North Adelaide. Instead they won the premiership, playing an attacking, highly attractive brand of football. Arguably, as they were the offending team in this instance, they could hardly be heard to complain if they suffered a devastating penalty (e.g. reversal of the result); whereas the Eagles would, with some justification, claim that as they did nothing wrong they were entitled to the corresponding benefit of a devastating outcome for the offending club, in the event of uncertainty about the most appropriate penalty. As the tribunal noted, the penalty brings little consolation for the Eagles. There appears to be little doubt that the tribunal was unduly restricted by the Regulations in considering penalty. Evidently it would probably have imposed a different penalty had it had the power to do so. Reversal of the result was considered to be too savage a penalty. 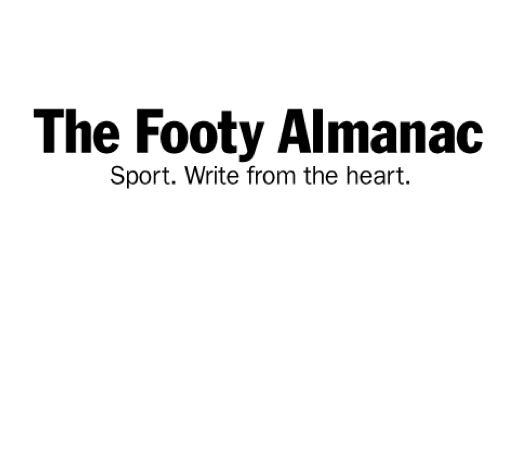 The maximum fine and the loss of 4 premiership points (2 matches) in 2019, however, arguably represents an unsatisfactory compromise, framed as it necessarily was by the Regulations. This is not a criticism of the tribunal. Instead it is a criticism of the Regulations. It is time to revisit the Regulations having regard to the contemporary landscape, increased professionalism in the game, advances in technology, and the wide variety of factual scenarios that come before the Tribunal. Arguably the “count” procedure and its effect require clarity. Further, this case highlights the desirability of the Tribunal having an overarching discretion to do what is needed according to the particular circumstances of the case under consideration. Read more excellent articles at www.footyalmanac.com.au Return to our homepage HERE. I disagree Daddsy in that law 7.2 b the payers should be listed who are starting any quarters on the bench there for the player has entered the ground illegally.i truly wish the 19th man fiasco never happened as NA on the day clearly deserved the premiership.i have had correspondence from WWT officials and am v much of the opinion they were stitched up massively I will always wonde if the decision was more based on the lesser chance of legal action. Great analysis, thanks legal eagles. It’s clear laws 7.2 and 5.5 need to be rewritten and considered together (and the tribunal’s point 13 is farcical – why is that the standard of consideration? Surely it should be about demonstrating a capacity/likelihood of benefit rather than proving it). Interchanges need to be considered in the context of starting positions each quarter, which would consequently mean a team having too many players on the field at the start of a quarter would immediately be considered to have committed an interchange infringement. The fact remains the Eagles missed out on the grand final because law 5.5 effectively places the burden of enforcement on their captain. The silly nature of the law and the wildly varying potential impact of the penalty (i.e. the difference between the penalty being enforced 5 minutes into the first quarter as opposed to five minutes into the last quarter), make it thoroughly unsuitable and structurally unfair, potentially to both teams. Rulebook, it’s worthwhile noting that when the 19th North player came off the ground, they were having a shot on goal that they converted. The impact of an interchange infringement called at the moment would most certainly have stripped North of a goal and likely have led to an Eagles goal. That’s 12 points difference right there. Thanks for clearing this up for us Daddsy. Easy the best article written on the event. Lightyears ahead of what the professional journalists delivered last week. It has brought clarity to how the decision was made and I now understand why Michael David came to his adjudication. I initially believed reversal of the result should have been evoked and could have been easily justified, however I now understand how David feels the maximum penalty should only be applied in cases of deliberate infringement (I.e. cheating) and as this was negligent instead of intentional he has firm ground to standby his final decision. Again excellent work to all who produced this article. It’s the information I’ve been seeking for over a week now. Thanks for the summary. Well worth reading. But social media spewing out “speculative, emotive, uninformed commentary”? I’m with Dave on the relevance of point 13. And even if it was held that the unfair advantage had to be realised in some way, just one uncontested mark in that 3:39 period would be evidence of that occurring to some degree. I’d also argue that the tribunal was only referring to the count procedure and the trigger for it as anachronistic, not the entirety of Law 5.5. I don’t see that anything about the game has changed so as to render the prescribed penalty inappropriate. Putting it another way, if it was a fair cop 100 years ago, why is it “too savage” now? In any case, point 20 does not arise because if the Eagles captain had called for a count, there would have been no tribunal. The prescribed penalty would (should) have operated, North’s score reset to zero and that would (should) have been that. Thanks Daddsy et al for the well researched and written analysis. Although I’m not convinced that a reversal of the result would have been too severe, I could always understand why it was not done. I think that the “big stick ” approach of the old rule 5.5.3 was there for a reason – to encourage clubs to be vigilant and put the onus of responsibility squarely on them to ensure that they had their processes in order. The rules and regulations are definitely in need of a review. Thanks Dan and others for your generous comments to date – all greatly appreciated. You’ve raised some excellent points which unfortunately have resulted in additional time spent on further consideration today! I get the impression we’ve only just scratched the surface. Working through the various Laws, Rules and Regulations at the various levels is difficult. Rulebook you imply that the Commission had power to order the rematch the Tribunal would have preferred (superficially at least) had it had the power. I reckon there might be something in this! The Commission’s powers are expressed to be “without limitation”. Dave I agree Law 5.5 demands review; I reckon both in terms of the process and the impact of a successful count. I think you’re right Mark – had there been a count then 5.5 appears to direct the umpires to impose the penalties, viz. free kick, 50 metres, and loss of all points. There does not appear to be any discretion about this. This is obviously inconsistent with the Tribunal’s view of the appropriate penalty for the infringement of Law 5.1. Thank goodness it’s only a game, right? Daddsy (s) -my Roosters bias has largely left me disinterested in the $&@“ storm of garbage that has been espoused on this topic. Plus I am a great believer in leaving the game to the umpires – who are fallible (as are the players), and who sometimes make mistakes, but largely get it right all by themselves without the aid of technology. It’s one of the things which makes our game so great. Also, sometimes life is just not fair, but it is what is is, and the continued outrage is wasted energy.